IPL photofacials offer patients a way to rejuvenate the skin on the face and other parts of the body with painless light energy. If you live in McAllen, Brownsville, the Rio Grande Valley, or all of South Texas, and are looking for an effective skin rejuvenation treatment, you may want to consider an IPL photofacial. RGV Cosmetic Surgery & Vein Center offers this and other MedSpa treatments to women and men seeking effective skin rejuvenation. Photofacial is a non-abrasive and non-invasive rejuvenation of your skin using the remarkable technology of intense pulsed light (IPL). Over time, the sun exposure from youth emerges in our thirties as dark sunspots on the face, chest, and hands. The IPL photofacial treatment improves the signs of sun damage and brown spots on the face, hands, and body by targeting and destroying these collections of pigment. IPL is also helpful for reducing the appearance of rosacea, mild acne scars and fine lines around the eyes and mouth. What is the IPL Photofacial Treatment Like? RGV Cosmetic Surgery & Vein Center is one of the only centers south of San Antonio to offer the Palomar StarLux 500 platform for IPL photofacial treatments. During treatment, the IPL handpiece is gently pressed to the skin and painless pulses of light are emitted. Most patients find this procedure to be completely comfortable, so no anesthetics are necessary. A single session typically lasts about 20 minutes depending on the size of the area being treated. Patients usually need to have multiple treatment sessions to achieve their desired results. What Kind of Results Can I Expect from My IPL Photofacial? IPL is a safe solution for all skin types and conditions. Typically, our clients find that four to six treatment sessions lasting about 20 minutes each provide them with beautiful results. There is minimal recuperation time – with an IPL photofacial, you can return to work or resume your normal activities on the same day. During the first week after the treatment, you will notice the age spots becoming more superficial until they finally peel off. 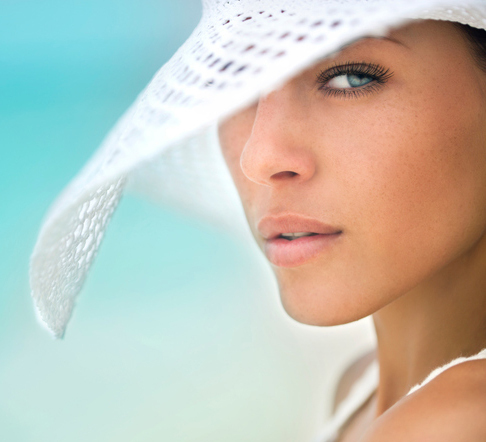 To determine the cost of your IPL photofacial, we invite you to schedule a private consultation at our practice. During your consultation, we will assess your cosmetic goals in order to pursue a treatment plan that matches your unique needs. Then, we will be able to provide you with a clear breakdown of the costs associated with your treatment. At RGV Cosmetic Surgery & Vein Center, we accept a number of payment and financing options, including cash, checks, money orders, major credit cards, and CareCredit® financing. We also offer simple and secure online payment options for the convenience of our patients. For more information about IPL treatments for facial and hand rejuvenation, contact us to schedule your consultation. RGV Cosmetic Surgery & Vein Center, located in Brownsville and Edinburg, TX, welcomes patients from McAllen, the Rio Grande Valley, and all of South Texas.